This 388 page very beautifully bound hardback contains many writings of the late E.T. 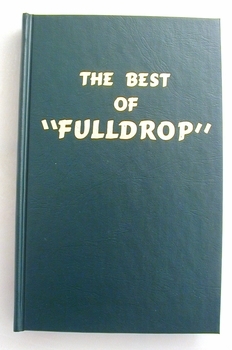 Piper (FULLDROP), editor and owner of the Feathered Warrior magazine from 1935 to 1964. Mr. Piper had a vast knowledge of gamefowl and the “major players” involved with the sport in the early 1920’s to 1974, the year of his death. His writings feature many articles on gameness and his own eye witness accounts of some of the big time cocker’s fights and also include his accounts (usually straight from the breeder or their close associate) of the make up of strains of fowl like Hatch, Albany, Hardy Mahogany, Pine Albany, Claret, Butcher and many other famous fowl.